GFHG Speaker Program | Geelong Family History Group Inc. The Geelong Family History Group has put together an excellent program of speakers for 2018 and 2019. 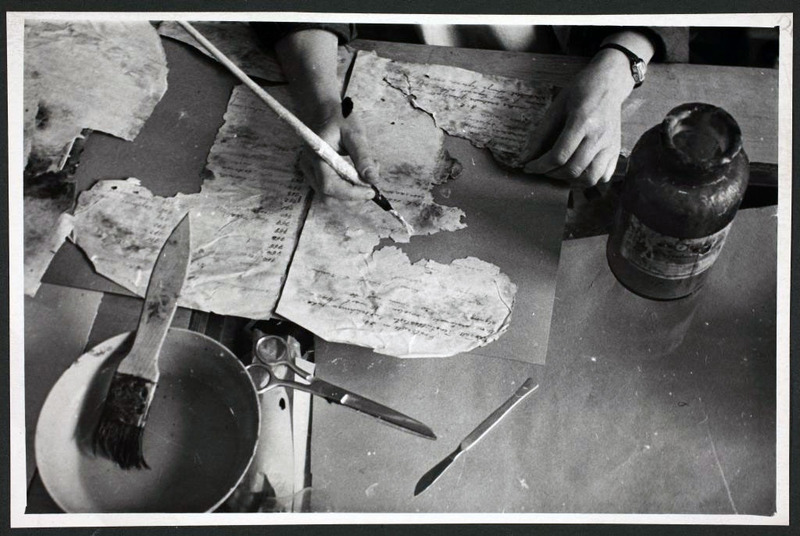 To restore a document like the one in this photo you would definitely be commissioning an expert conservator, however for the everyday care of your own Family Archives – documents, photos, family treasures – you would be looking for advice from a conservator. John Greenwood is our guest speaker at our February meeting – he’s an expert conservator but also loves showing people how to look after their personal items in their collections at home. The Geelong Family History Group welcomes visitors to our meetings. You might also like to become a member and benefit from receiving copies of our journal – Pivot Tree – and additional research support. This entry was posted in Family history, Family History Research, GFHG Web Site and tagged Conservation, Geelong Family History Group, GFHG, Meetings, Speakers. Bookmark the permalink.